Last year, we interviewed British filmmakers Matt Root and Neil George about their movie, After the Sewol. The movie focused on the Sewol tragedy and looked into the ongoing struggle for the truth about what happened. At the time, After the Sewol was in the middle of a festival run and had just won the Best Feature Documentary award at the TMC London Film Festival. Fast forward one year and the film has now had a full release while a second Sewol film, titled Crossroads, has just been finished. We caught up director Neil George about how the last year has gone, as well as what viewers can expect from their upcoming film. For those based outside of Korea, After the Sewol is now available on iTunes, Google Play, and the Microsoft Store. If you are in Korea and want to watch the film, you can do so via Vimeo on Demand. Hi Neil, the last time we spoke After The Sewol was in the middle of a festival run. How was the film received by audiences outside of Korea? So far the film has been well received outside of Korea. It premiered at the 40th Asian American International Film Festival (AAIFF) in New York in June 2017 and was then shown at a number of other film festivals around the world. We eventually secured VOD distribution at the end of August and worked with the distributor to get the film out as quickly as possible. Unfortunately, this took a lot longer than we had hoped but the film was finally released in the UK and other countries on the 26th March this year. We are very happy the film has been well received at the festivals and hope this will be replicated through the VOD platforms as well. In the year since the film was first released, have there been any breakthroughs in the investigation into any of the issues raised by After The Sewol? We raised certain issues throughout the first film and I think some of them are self-evident as to what has happened since. Obviously, the films we produced were not ‘investigative’ style documentaries, and we tried to steer clear of doing anything like this. We knew there was an investigation into the disaster happening so we wanted that to be done aside from the films we produced. As far as the actual investigation, after talking with the families quite recently, it is still underway and moving along, although we get the impression that the government wants to try and finish everything as quickly as possible. Some family members spent time in the Netherlands overseeing it as well as their continuing efforts in Mokpo. We have been told there should be some results this summer, so we will have to wait and see what the findings are. This was a positive step by the current administration to discover the truths after the previous administration clearly failed to deal with it. As is common with these types of tragedies it will take a long time to get to the bottom of what has happened but it is good to see progress is being made. We hope that a full and thorough investigation will bring the causes to the public’s attention to ensure that these types of disasters are not repeated. In terms of the political side, we saw the impeachment of ex-President Park Geun-hye, proving that the Korean people want to change the way in which they are governed and I hope they will continue to show a progressive and informed attitude towards their politics in the coming years. There is nothing more important than an electorate able to debate freely and openly the issues that matter to them and vote accordingly. The second part of the film is now finished. What is the focus of this film and how does it differ from the first one? For the second film, we were fortunate to get access to several survivors who narrate parts of the film. These emotionally driven sections take up about half of the film, where I allow them time to tell their stories. These are interlinked with what happened during and after the 2016 candlelight protests which led to the impeachment of Park Geun-hye as well as the timely raising of the ship in March 2017. I also continued to explore more Korean history which shows that these social movements are not new and have gained significant momentum due to the Sewol tragedy and media attention. The film also highlights a case from the UK, the Grenfell tower fire, and the many similarities it has with the Sewol ferry disaster. 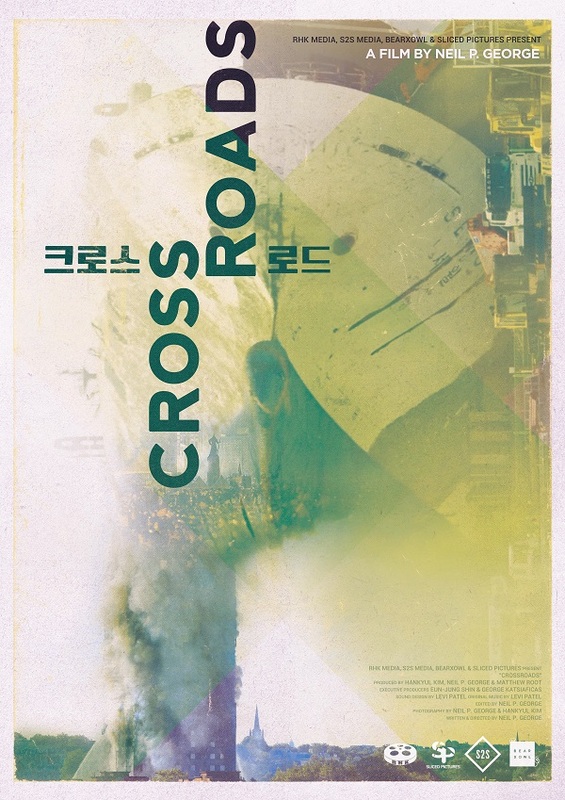 The title of the second movie has changed from The Sewol Generation to Crossroads, was this due to a change in the focus of the film? The initial focus for the second film was to talk about the young student activists who became known as the Sewol generation. After working through the edit it became clear the film explored many more issues. I decided that a title change was in order and after much discussion, the name Crossroads was settled on. I think it fits well with the theme of the film and develops the idea that Korea has arrived at yet another crossroads or turning point in its history. There are many first-person accounts and interviews in both movies. The interviewees all seem happy to tell their stories despite the fact that all the stories are incredibly sad. Why do you think this is? In short, they wanted their story heard with the facts and the information from their own mouths and not from television, newspapers or internet sources. The reality of those interviews is striking and, at times, incredibly hard to watch. This highlights the frustrations of the situation in which they find themselves. I wanted people to listen to their stories and realize that this type of disaster could happen to anyone. What the families are still fighting for is relevant to everyone, not just in Korea but throughout the world. One thing I hope the audience will understand from these interviews is that these people suffered a lot and have had to fight hard for any kind of truth and justice. I hope they can be seen as an inspiration in trying to create a better, safer society. At the end of the day they want to see changes to safety management and regulations to prevent this sort of disaster happening again and I think with all they have been through and lost, that really is not much to ask for. You must have learned a lot about Korea and Sewol while making the films, does anything really stand out as being different to your original expectations? In all honesty, I can say I have learned an enormous amount whilst making the films, not just about Korea today but also about its history. I already had a good understanding of Korean history but I didn’t expect to have to deal with it in as much detail. However, as the films progressed it seemed so relevant to the story that it became inevitable we would need to explore it further. The initial idea for the first film from Matt was to deal with the trauma element, but as the filming developed we found there were other underlying issues that also needed to be highlighted and discussed. Introducing the survivors allowed the second film to explain the trauma seen through their eyes and gave us the opportunity to dig deeper exploring the root causes behind this tragic event and consider what might happen in the future. Now that you have finished the two movies, are you starting to think about future projects? If so, will they be Korea related? There will be a potential 3rd film in the future but probably not the foreseeable future, maybe in a couple of years time when more has been resolved or not (depending on the government). 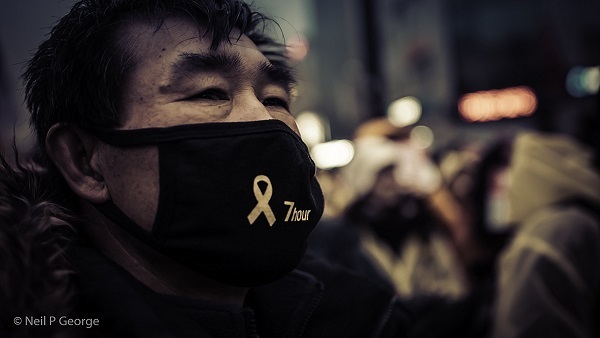 I will be continuing to film with, follow, and support the Sewol families as often as possible but in the meantime, I will be starting work on several different films relating to Korean society. I am very interested in working on a film about the Jeju 4.3 massacre as well as examining the US influence on Korea since the armistice. I have some other ideas around the 6.10 and 5.18 democracy uprisings as well, but at the moment nothing concrete. Obviously, producing documentaries is very time consuming and expensive. There is no sponsorship and everything initially comes out of my own money which comes from lecturing at DIMA (Dong-ah Institute of Media and Arts) or crowdfunding when possible. Until a project is started it is difficult to initiate any funding, but I am hoping to have something up and running during this summer. For now, I will be concentrating on developing the ideas, initiating some funding revenues and, of course, promoting the current films as much as I can. If the audience can take one thing from watching the movies, what would you want this to be? It’s difficult to take one single thing from these films: I would say that people have a general perception that they live in a safe environment but if we look a little deeper we can see that it's not as safe as we actually thought. We see this in Korea not only because of the Sewol ferry tragedy but also through other accidents in its history. For example, the Sampoong incident in 1995, the Seungsu bridge incident in 1994, and the Seohae ferry incident in 1993. Also, we have continued to witness very similar safety-related disasters happening in Korea since the Sewol ferry sank in 2014: the subway screen door accident, the sink holes, the recent sinking of the seongchang-won, the fires at the Jecheon sports center, several crane collapses and of course the hospital in Miryang. There have also been similar safety-related disasters around the world, the Grenfell tower fire in London, for example. All this shows that even with the effort the Sewol victims’ families have put in, it takes a long time to actually create change. I hope people can see what the victims’ families have endured since 2014. Their struggle to find the truth, the battle with the government to raise the ship, and the attempts to get answers about what happened, as well as fighting for change to try and improve safety standards. People need to realize that the families are simply fighting for a safer place in which to live. If they realize this then I hope they will support them more and not forget the Sewol tragedy in 6 months, or 1-2 years. If people forget there is no doubt we will see more similar disasters happen and who knows, maybe in the future you might end up being a victim of one. Why not fight for change now rather than risk being a part of the next Sewol tragedy. People power can work and has been proven! Surely that makes sense.